Marvel Studios’ Ant-Man is now playing in theaters and we’ve created this spot for you to tell us and your fellow moviegoers what you thought about the Peyton Reed-directed film. You can write your Ant-Man reviews in the comments below! The Ant-Man cast also features Corey Stoll, Bobby Cannavale, Michael Peña, Tip “T.I.” Harris, Wood Harris, Judy Greer and David Dastmalchian. Ant-Man was written by Edgar Wright, Joe Cornish, Paul Rudd and Adam McKay. 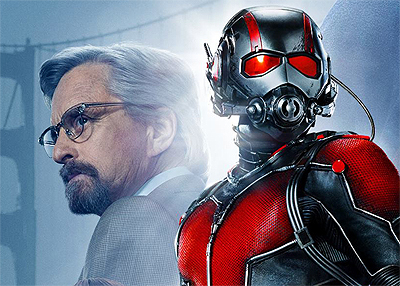 Tags: Ant-Man, Reviews, What Did You Think? !